12 Coolest Tree Themed Products For You. Most of us have come away from the nature, reason may be what so ever, but the fact is we are away now. These nature inspired trees give you a second chance to get nature back in your lives in a way……. 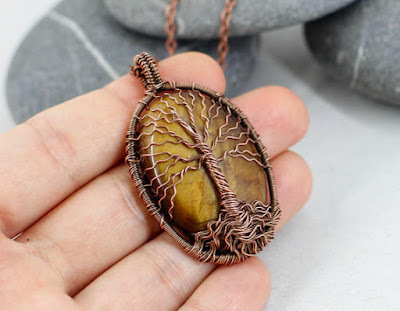 Tree Of Life Necklace: The Tree Of Life Necklace is handmade; beautifully uses natural tiger eye cabochon, and copper wire to create this awesome necklace. Buy Now. 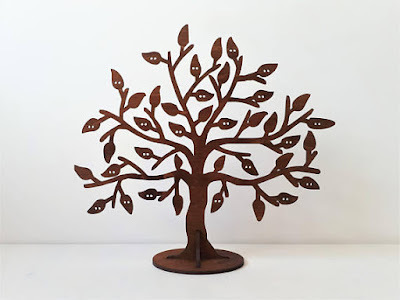 Jewelry Tree Holder: The Jewelry Tree Holder is a wooden jewelry tree organizer that lets you organize your earrings, rings, and necklaces in one place. 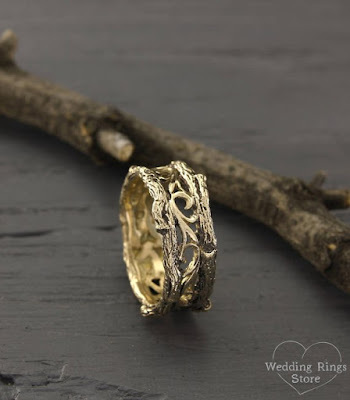 It comes with multiple areas to place your jewelry and lets you organize your favorite jewelry. Buy Now. Pine Tree Tattoo: The pine tree temporary tattoo is a beautiful small pine tree that will last for two days up to a week. Buy Now. 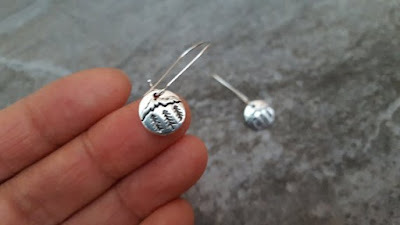 Pine Tree Earrings: How about tree earrings? 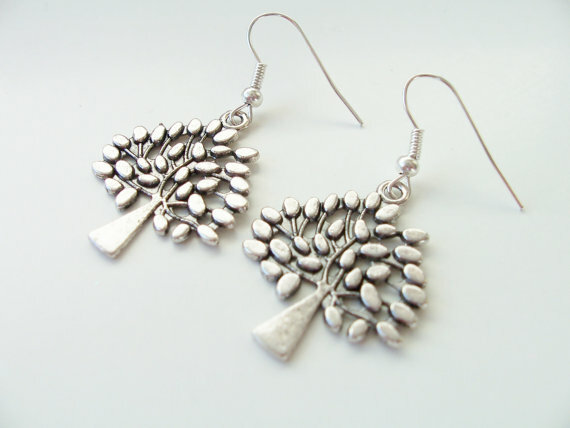 Here we have these cool silver Pine Tree Earrings that feature tiny pine trees and more. Buy Now. 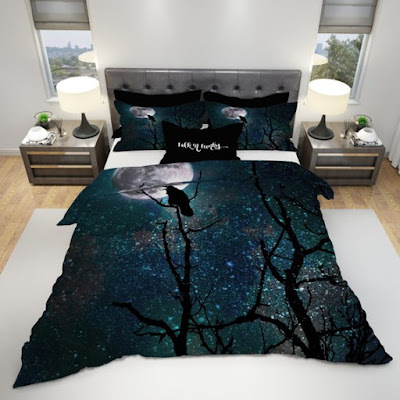 Gothic Bedding: We were looking for a tree theme and we got even raven, moon, night sky along with our trees. The comforter is cozy and lightweight; the design is printed onto 100% microfiber polyester fabric and lined with fluffy polyfills. The set includes two pillowcases and the comforter. Buy Now. 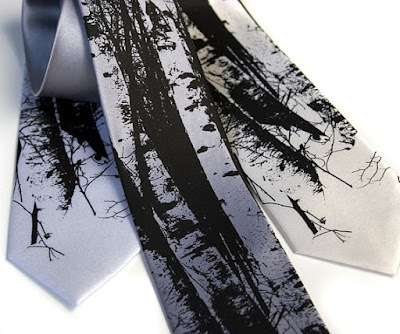 Birch Trees Tie: The Birch Trees Tie is made of a soft microfiber, and features a silkscreen design and is available in standard or narrow size. Buy Now. Tree Bark Band: Some rings and bands are to be remembered forever and one such is Tree Bark Band. It's made from 14k solid Yellow gold and has its own vintage style. Buy Now. 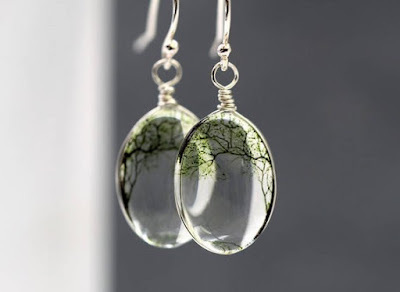 Bending Willow Earrings: The Bending Willow Earrings feature bending willow trees. These 925 sterling silver earrings feature translucent images along with solid transparent glass, that gives the earrings a three-dimensional look. Buy Now. 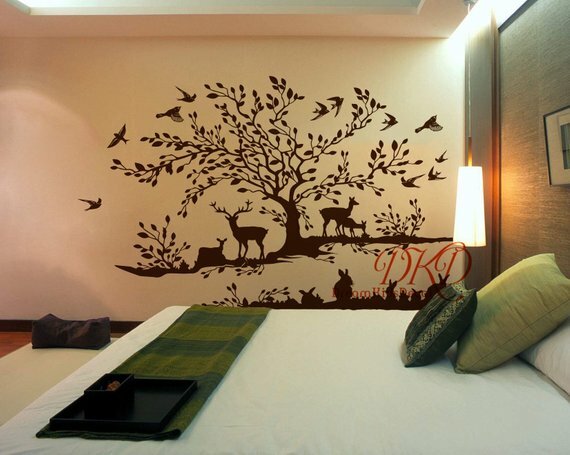 Tree Wall Decal: The Tree Wall Decal is a beautiful woodland theme decal design that lets you feel the nature. Buy Now. Metal Tree Earrings: Anyone got to say anything about these Metal Tree Earrings? Buy Now. 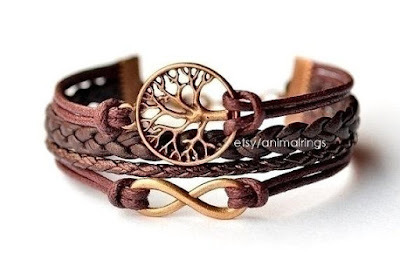 Tree Of Life Bracelet: The Tree Of Life Bracelet features a small tree and infinity loop made from bronze and leather strap to wear around your wrist. Buy Now. 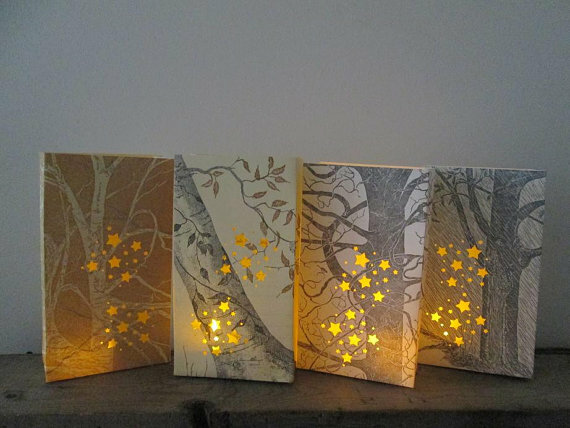 Tree Lanterns: Don't you think these Tree Lanterns are the thing you need as table centerpieces for parties, events and more? Buy Now. 12 Essential Car Gadgets You Should Have. 11 Coolest Balloon Themed Products. 12 Must Have Air Conditioned Clothing. 12 Coolest Candles For Your Home. 12 Must Have Self-Massage Tools. 12 Coolest Cloud Themed Products for You. 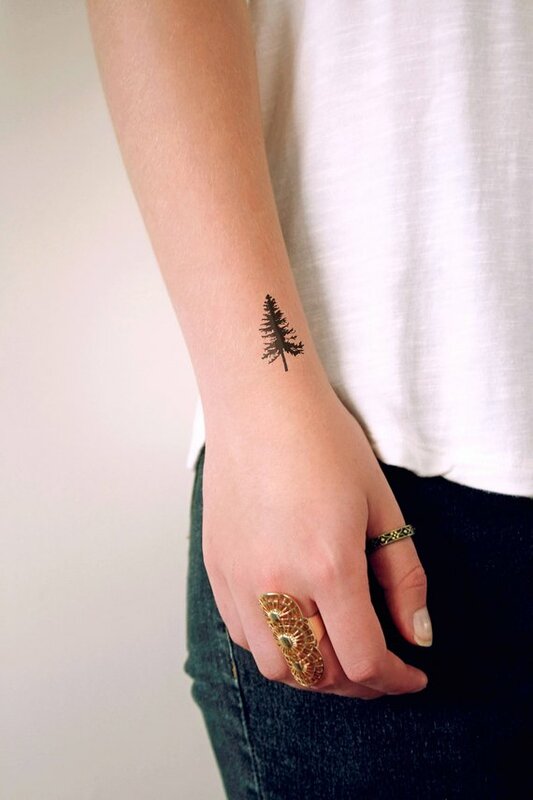 11 Coolest World Map Themed Products for You. 12 Must Have Starwars Themed Products. 12 Must Have Fruit Baskets For Your Dining Table. 12 Coolest R2 D2 Themed Products for You. 12 Must Have Terrariums For Your Home. 12 Must Have Vegetable Cutters For Your Kitchen. 12 Must Have Outdoor Inflatable Seating.